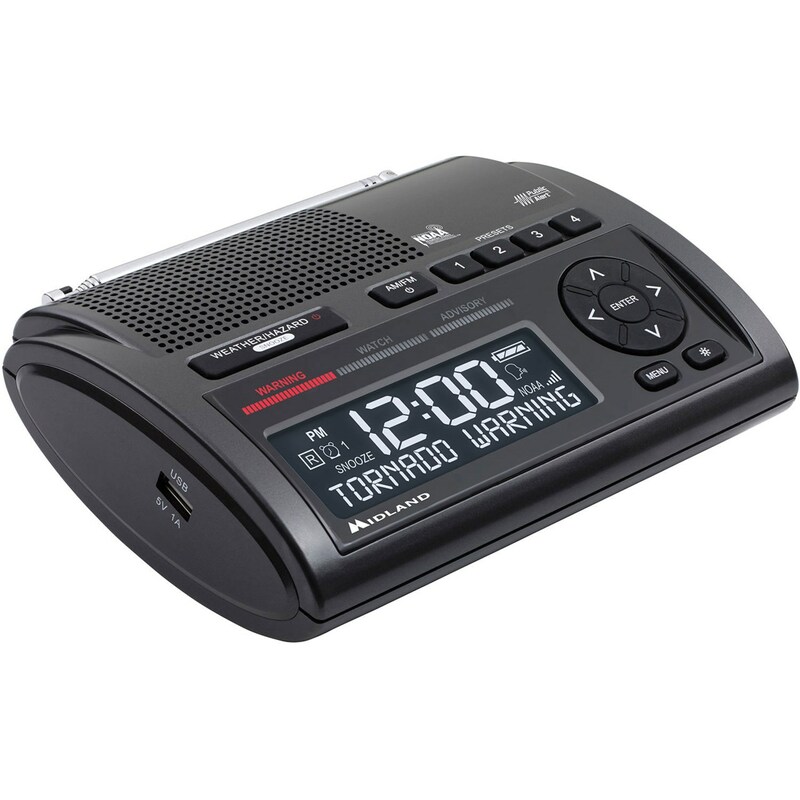 The WR400 Deluxe NOAA Weather Alert Radio uses digital S.A.M.E. technology to lock into your county's warning system. Gives you instant weather updates from the National Weather Service. Has an 85 dB siren to alert you to emergencies. 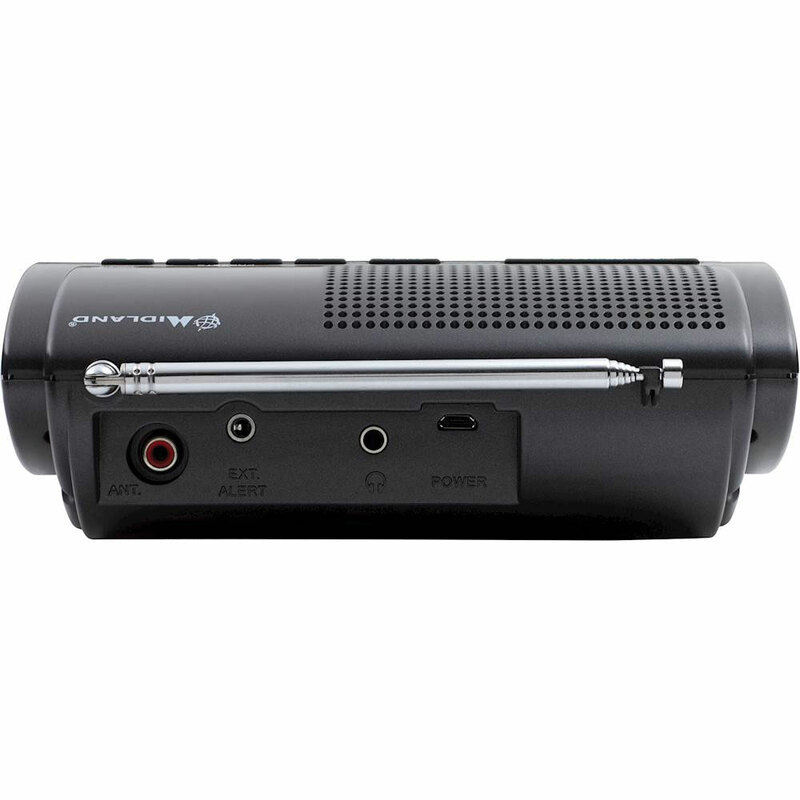 The USB output allows you to charge devices directly from the radio. Customize and program up to 25 counties with 80 different emergency alerts. AM/FM radio with alarm buzzer, and color-coded alert level indicators. 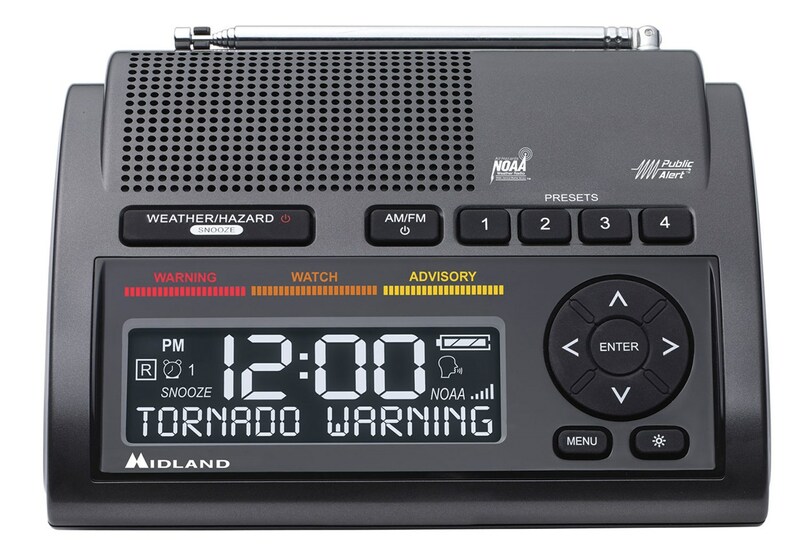 This is the most advanced emergency weather alert radio from Midland. Uses four AA alkaline batteries for emergency power back-up (not included). Includes an AC Power Adapter.